Poland defeated Japan 1-0 in their World Cup Group H finale, but thanks to Colombia's 1-0 victory over Senegal and the never-before-used fair play tiebreaker, Akira Nishino's side ended second in the group and qualified for the knockout stage for the first time since the 2010 World Cup in South Africa. Japan entered the day knowing a win or draw would secure its knockout place but that a loss would open the door for both Colombia and Senegal to pip the Samurai Blue to the last 16. That's very nearly how it played out, until Yerry Mina's 74th-minute goal for Colombia in the simultaneous finale tilted the scales back in Japan's favor. Right from the start, Japan had to deal with some early pressure from Poland, having to clear a corner in the first minute of play. Some nerves were cleary visible as Japan gave the ball away in the 5th minute, forcing a fast counter-attacking play from Poland, who entered the box looking to finish it off, but the Japanese defense cleared. Regardless, it was clear that Japan was feeling the tension. 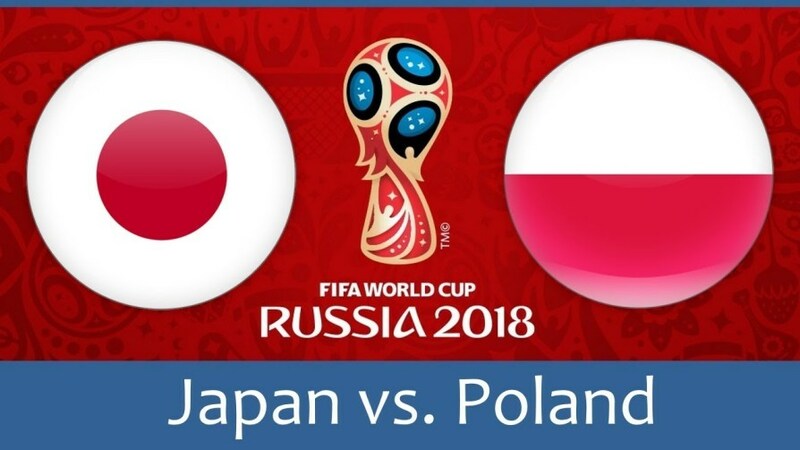 Poland kicked off the the second half with the same energy as the first, as Japan hoped to counter in the wide areas. Poland broke away in the 53rd minute but the through ball just outside the box was too much and Kawashima picked it up with ease. Moments later, however, Poland took the lead thanks to Jan Bednarek's finish from a set piece in the box. As it stood, Japan was out of the knockout stage.